Juan Carlos Cruz Diaz, Osa Conservation’s Wild Cat Program Coordinator, made a trip up to Westchester County in New York this year to visit Larry Regan and his son Jeremy Regan. 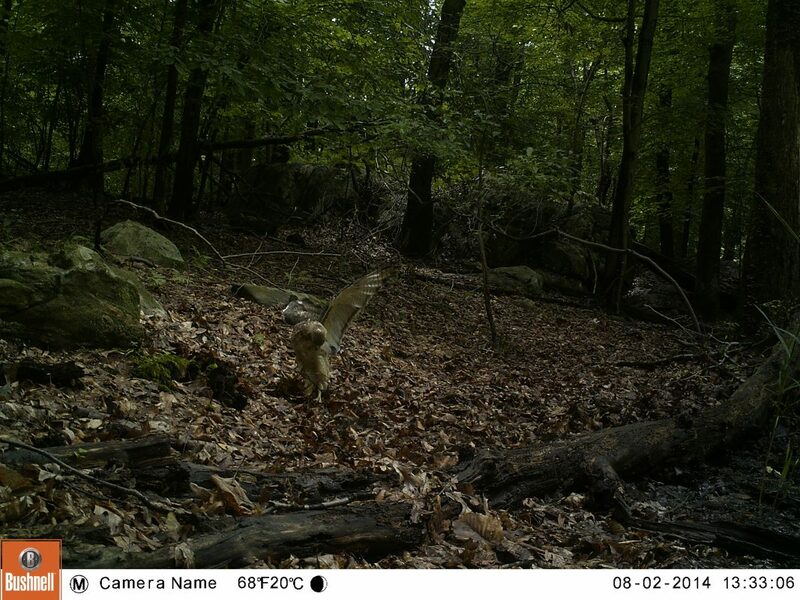 The purpose of the visit was to check up on Jeremy and his camera trap mammal monitoring project that he had decided to introduce right in Westchester’s back yard. Juan Carlos and Jeremy pose in front of a camera trap. Like father like son – Larry Regan donated the first cameras that spearheaded Osa Conservation’s monitoring projects in 2012, and now his son Jeremy, only 16, is involved in a monitoring project of his own. It is everyone’s anticipation that this project will inspire other teens to begin similar conservation projects in their neighborhoods and towns. 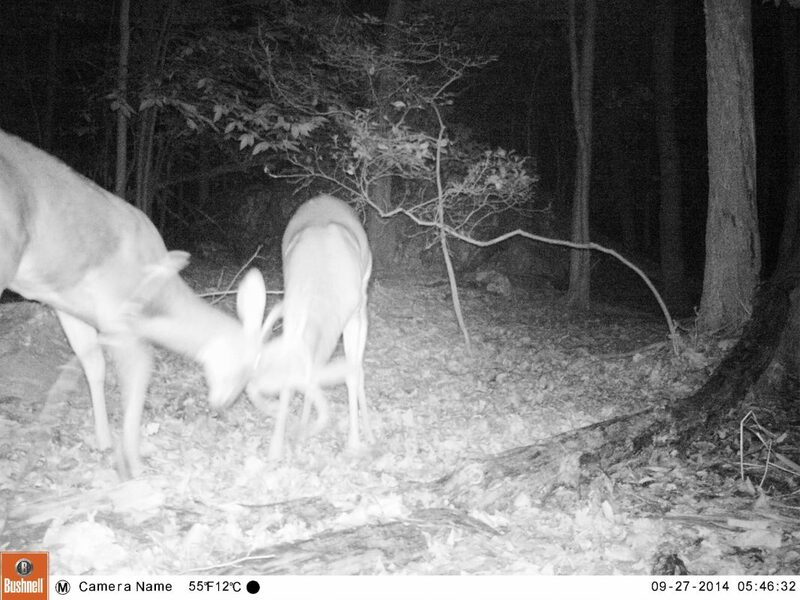 Two male deers fight for territory. This hawk exhibits rare behavior on the ground just long enough to get caught on camera! 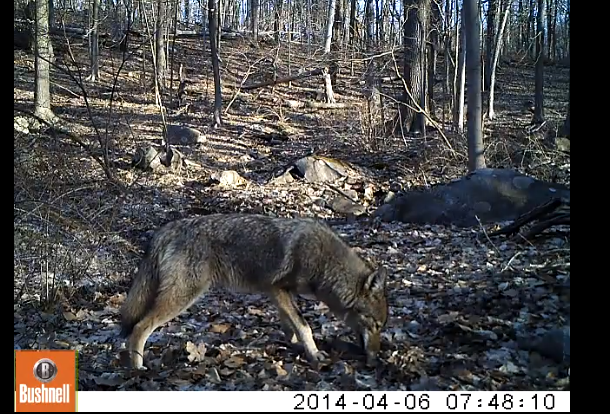 A close-up of a coyote slinking around. 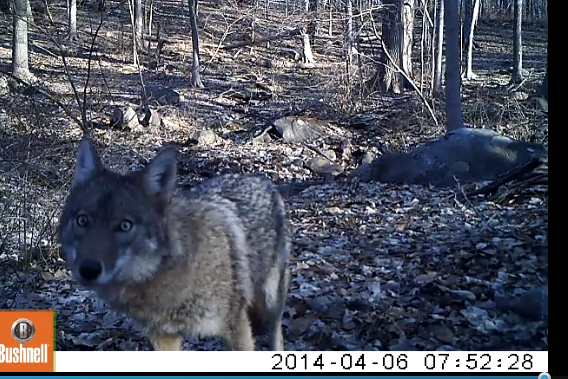 The same coyote as pictured above sniffing around. This entry was posted in Community Outreach, Environmental Education. Bookmark the permalink.